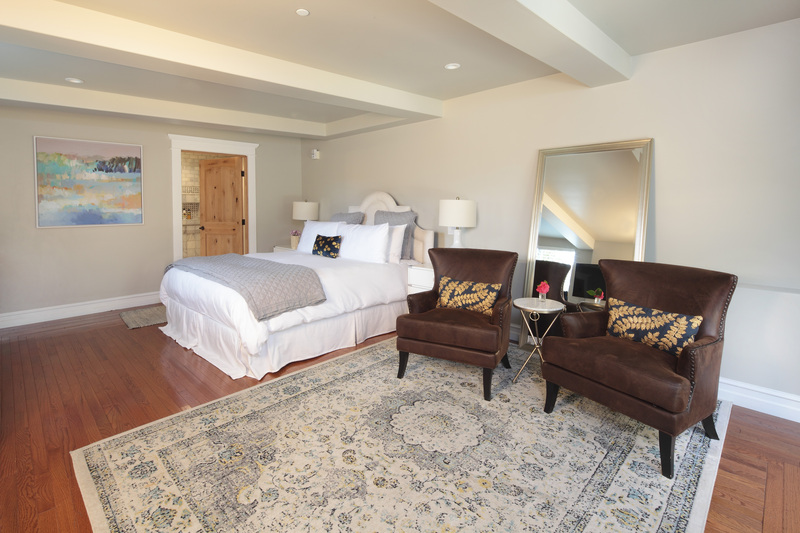 A large, modern room, with its own private entrance and king size bed, the Mosaic is the Calderwood’s sole ADA room at the inn and serves as a perfect blend of luxury and accessibility, all nestled in a historic Victorian setting. 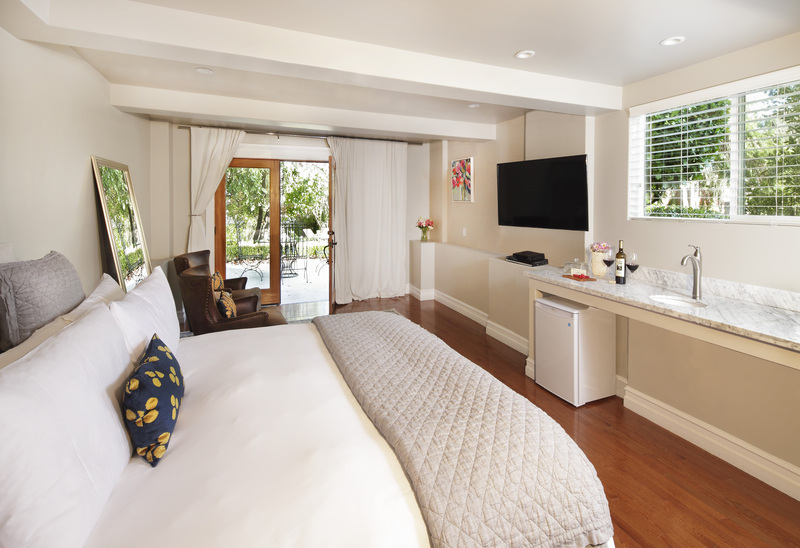 As you step through the glass doors and into the open space, light from the garden pours onto the mattress and linens, passing over a long marble top, fitted with a sink, miniature fridge, microwave and coffee maker along the way. Dressers sit aside both edges of the bed, while a large flat screen television is mounted on the wall opposite, as well as chairs and a mirror back toward the entrance. 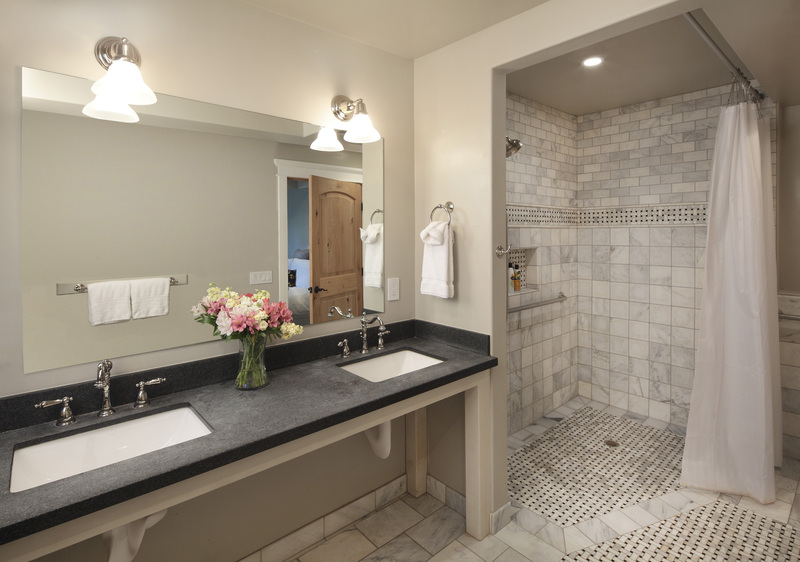 Upon accessing the bathroom, a large roll-in shower awaits, with beautiful marble throughout, and a spacious double vanity sink.